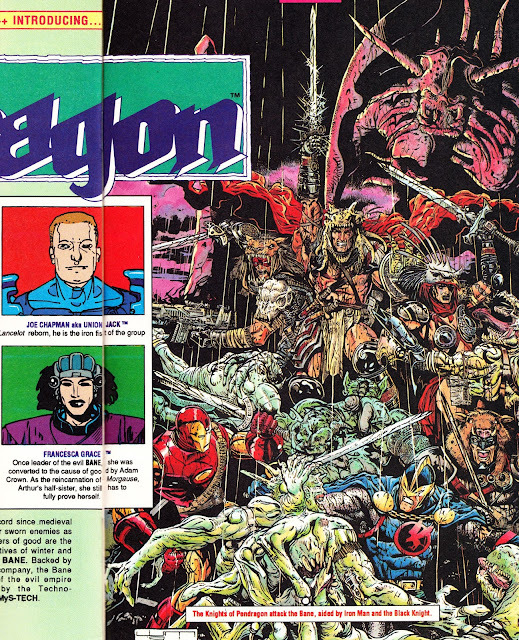 Here's another of the MARVEL UK GENESIS 92 sneak-peeks that appeared in the original DEATH'S HEAD II limited series during the first part of 1993. The Knights had already enjoyed an 18 issue run in the a semi-US format (the dimensions matched US books but - unlike the Genesis 92 line - it never felt like it was fully integrated into the larger Marvel New York output) between July 1990 and December 1991. 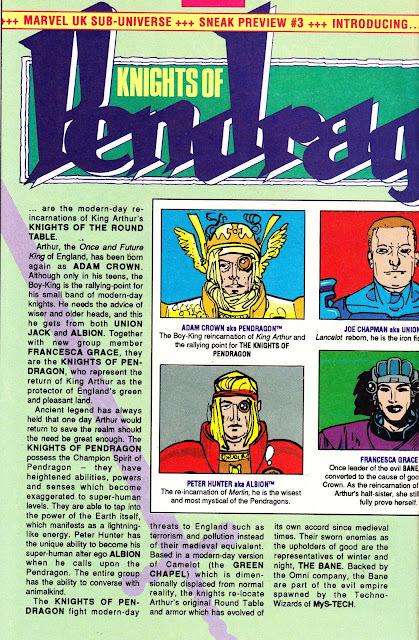 This second incarnation, launched in July 1992, grafted the Knights into the MyS-TECH anchored sub-universe and ultimately ran 15 issues to September 1993. The strip also formed part of the inaugural OVERKILL line-up here in the UK. Typically of the UK expansion, only the first series has been reissued in trade paperback format and - once again - nothing from the G92 era is currently in print.